As so many others, we were also looking for a place in the south of Europe to enjoy the sun, new views and we wouldn´t mind at all if the beach would be within a walking distance. Just by chance, we saw an advertisement about an apartment in Albania and so the googling started to see more. The country was not totally unknown to us; we had been visiting there before. Automatically we ended up to Albaniapropertygroup -pages, where there was a good selection of properties. However, looking at the pictures is not the same story as to see it yourself, so we decided to contact Ilir Konomi and to arrange a trip to Albania. We agreed roughly the week program and after a few weeks, we met Ilir. We were surprised how much time he spent and how much effort he put to show us different options. Every now and then we got a good introduction to the history, the every day life, and even the music of the country :) . We felt like being friends together, which of course helped to find the right apartment for us. All that tells about a great professionalism. In addition, Ilir arranged the final buying process at the notary and all went smoothly. Therefore, what else to say than Albania Property Group is highly recommended if you are looking for buying or renting apartments in Albania. If you know what you want, - Ilir knows the rest. W marcu zapadła decyzja o kupnie mieszkania w Albanii. Zdecydowałem się na Sarandę ze względu na łatwy transport dzięki bliskości lotniska na Korfu. Szybki przegląd internetu i zdecydowałem się na pośrednictwo Albania Property Group co jak się okazało było świetnym wyborem. Pani Arta wraz z mężem zorganizowała tranfer i prezentację dostępnych dostępnych nieruchomości, miała przeczucie bo już pierwsze które mi pokazała spodobało mi się na tyle że zdecydowałem się je kupić. Oczywiście miałem obawy bo pieniądze nie małe a Albania to daleki, nieznany kraj. Wszystkie okazały się bezpodstawne. Albańczycy to jedni z bardziej uprzejmych i miłych narodów z jakimi miałem okazje się spotkać. Arta okazała się bardzo fajnym i obrotnym agentem nieruchomości (Ilir, na pewno za mało jej płacisz) . Załatwiła sprawy notarialne, związane z tłumaczeniem a następnie wszystkie dokumenty w ratuszu i to bardzo sprawnie mimo tłumu interesantów ( gdzie diabeł nie może tam babę pośle ) Polecam wszystkim współprace z tą firmą, w ciągu 3 tygodni od decyzji inwestowania siedzę na tarasie mojego własnego apartamentu z widokiem na morze i pije pyszne albańskie primitivo z oliwkami i serem. Pozdrawiam Alfred T.
Ilir Konomi helped us to arrange wonderfull vacation in Albania - Durres, after which we decided to buy a property here. Great experience with Ilir and his team, everything was handled in very professional manners and unbelievably quickly. We could rely on him with all necessary issues that had to be handled. 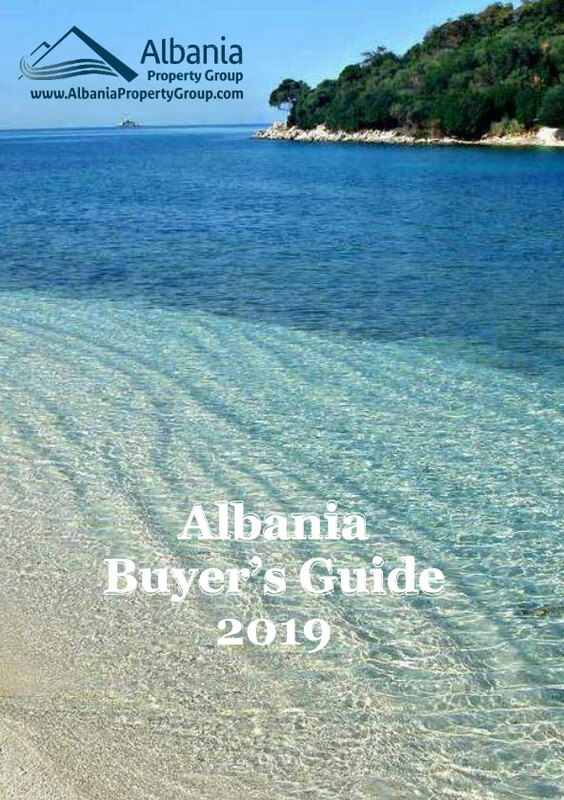 We would definitely recommend Albania Property Group as a partner, no matter whether you are looking for holiday rental in Albania or buying a property as well. ............................................... Ilir Konomi nám pomohl zařídit skvělou dovolenou v Albánii - Durres, po které jsme se rozhodli pořídit si zde nemovitost. Spolupráce s Ilirem a jeho týmem byla skvělou zkušeností, vše pomohli zařídit velmi profesionálně a neuvěřitelně rychle. Mohli jsme se na něj plně spolehnout. Rozhodně bychom Albania Property Group doporučili, ať už hledáte pronájem nebo řešíte koupi. We rented an Appartment from Albania Property Group in August 2017 for 5 days in Lalzy Bay (Gjiry i Lalzit)/Durres and everything was fine and very well organized. The communication with Ilir Konomi, the manager, before and during our stay was very nice, helpful and every question was answered quick and precise. They organized us a taxi transfer from our Hotel in Tirana to the Apartment and as we needed a taxi to the airport they organized that as well. The apartment was very modern in a nice new built resort very close to the beach, very good value for money. We can recommend Albania Property Group to rent an apartment. When we come back to Albania we will again book an Apartment from Albania Property Group.